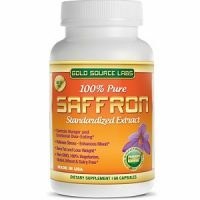 Gold Source Labs Pure Saffron Extract Review - Does It Work? 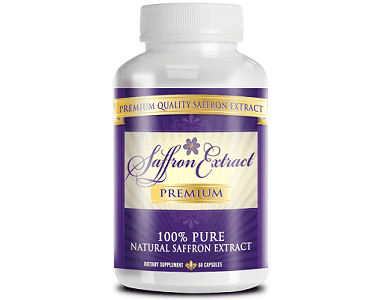 Read our review of Pure Saffron Extract. The product is a highly concentrated extract made from the plant Crocus sativus. It is designed to provide health benefits to its consumers by providing vitamins and minerals. The product also assists in weight loss by reducing hunger, curbing your appetite and eliminates cravings. What’s in Gold Source Labs Pure Saffron Extract? The main ingredient is the Saffron Extract Complex. Saffron is a herb that has been linked to many therapeutic benefits. It is rich in calcium, copper, iron, Vitamin A and Vitamin C. Other ingredients found in the product are rice flour, vegetable cellulose and silica. 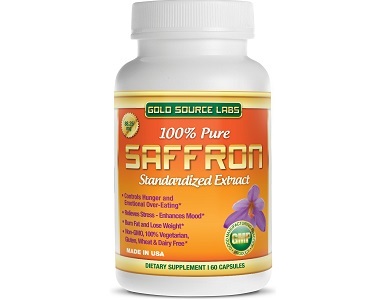 How Do You Use Gold Source Labs Pure Saffron Extract? Before you start taking the product, please visit a health professional to seek advice on the correct usage. The manufacturer has recommended one capsule be taken in the morning and the other at night every single day. The doses should be taken before meals and the recommended dosage should be taken for at least 8 weeks. Please, do not exceed the recommended dosage. The product contains 60 capsules and costs $17.97 on Amazon. That price does not include shipping. After conducting a careful search on the manufacturer’s website and Amazon, we could not find any guarantee offered. We find this to be of great concern. If the product is able to deliver the results as promulgated by the manufacturer, it should go without saying that a guarantee must be attached to the product. The manufacturer needs to back up its words by providing a full money back guarantee if anyone is not satisfied with the product. The Pure Standardized Saffron Extract was made to provide its consumers with several health benefits. The product may assist with weight loss by curbing your appetite and eliminating cravings. As per warning by the manufacturer, you may need to consume the product for more than 8 weeks before results may show. One of the most alarming factors about the product is that it does not come with any guarantee. Considering that you have to consume the product for at least 2 months before possible results, the manufacturer should have offered a full money back guarantee. Nobody wants to waste hard earned money on a product that may not work. It does not make sense to promote the product as being able to provide certain results, but not offer a guarantee in case the results are not evident. Some customers complained that the product did not curb their appetite, in fact, it increased the appetite. The product did not work for them, but they were unable to return it because of the guarantee that is not offered with the purchase.